Guadalupe Arellano is currently a junior attending La Joya Community High School. This young and sophisticated student is part of the Yearbook committee and writes for a living. On her spare time, Lupe loves to read different literature, take photographs, and write, all useful skills for contributing to the yearbook. Lupe is so inspired by writing that one of her goals is to write a book before she turns the age of 25. Although her goal may be challenging, she doesn't plan on letting that stop her. 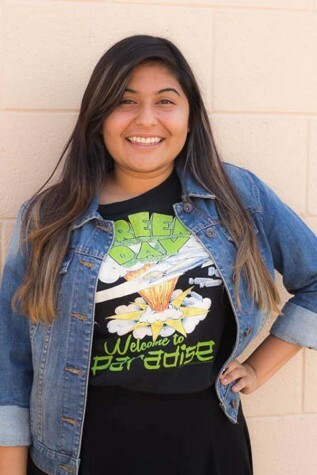 Guadalupe is more of an introvert type of girl and isn’t very outgoing when it comes to meeting new people or trying new things. This won't stop her from striving to achieve her goal of traveling around the world. Guadalupe is one of those people who you would only see once in a lifetime and Yearbook is glad to have her.